Hmmmm....tonight is the night before tomorrow......and tomorrow at 9am is when I will be in hospital having an epidural steroid with epidurogram and adhesiolysis. I sure as hell hope that is freaking you out even half as much as it's freaking me out.....in fact, I've keep myself so busy for the past 3 days that now I can;t even stand up because I am in so much pain with my back...but hey, you get that! Here are the procedures, Download GCPA Procedure Facet medial branch neurotomy , Download GCPA Procedure Epidural , if you really want the gory details of what they are going to do to my lower back to try and relieve some of my chronic pain.....I can't go there......I think I am firmly putting a lid on any of those thoughts that try and creep out when I least expect them.....huh! I don't think so...just get back right in the pain section where you belong thanks very much...you come out to play far too much for my liking as it is....and you wonder why I don't let you out more often??? I really do prefer to play with my other friends...the wow, this could really work thoughts..... ah, yes, they are much better company to keep...so much more fun! You can play ANYTIME, in fact you have an OPEN DOOR INVITATION...don't wait to be asked...just rock on up...don't bother knocking...just stride right in...past any rude pain thoughts(in fact smack tham as hard as you can on your way thru) and make yourself right at home...closely followed by your other friends, no pain today and & there is light at the end of the tunnel. Best you all get to know each other really well and help each other out cause you are gonna be together for a while...this is the first of 3 procedures over the next 10 weeks (my Kiwi Doc calls them interventions and Mr K calls them 'exorcisms'! (am not quite sure about either of those??? )..........did I mention how scared I am? Want to do your part to help the environment? The raspberry seeds act as a natural exfoliant and gently remove dead skin whilst the lactic acid in the yoghurt works on the new skin to brighten and lighten! Yummy! New Social Networking Site! "sassymamas"
where women of influence, mumfluence, & blogfluence love to work & play! ATTRACT MORE READERS, PROMOTE YOUR BLOG, PRODUCT AND/OR BUSINESS, CONNECT & MAKE NEW FRIENDS! :Thank you SassyMama for the invite and I can't wait to get started and make some new sassy friends and have some fun!!! This is an awesome looking site and I look forward to growing with you :-)"
"Loving this....kids move over and get off the net- its my turn!" It's absolutely FREE TO JOIN at sassymamas! so tell your sassy friends! or type me a message saying you'd like an invite, into the Comments box below! I'll send it onto 'sassymama' for approval and you will hear back from them. Hurry! Invites for this intial Launch are Limited! 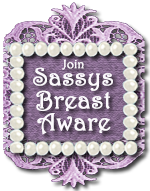 sassymamas....a sassy new hangout where netwomen can blog, create, laugh, cry, sell, chat, fave, meet old BFF's & new, plus shop til they drop. Tell your friends & get sassy today, mamas! Can you guess the average number of bacteria transferred from a mouth to a bowl of dip when someone "double-dips" three to six times? Salsa, because it's a runny dip, initially picks up more bacteria than thicker dips, but its acidity makes the bacteria count decline faster. So, keep an eye out for that 'serial double dipper' who likes to reload the chip at your next party and in particular, watch out for kids who think nothing of double dipping, fingers and all! *from a Study by Clemson University, USA. I'll apologise ahead for typos and missing words even tho as usual I will proofread, double check, publish and then check again...it's just that in this migrainous state, I'm likely to make mistakes I wouldn't normally make. sorry. that's a word I use a lot when I'm ill. sorry. If i don't use it, then I think it because I feel guilty a lot. guilt. I have a lot of it. I'm not talking about that normal Motherhood guilt we can all experience because we say, work and put our child in care, or guilt because we miss our childs athletics day....I mean&nbsp; I have guilt on top of that guilt because of my bad health and all of it's ramifications. This is Day 3 of a 24/3 migraine, with a pain level score from 1 to 10 with 10 being the highest, this pain is a constant 12/10. With an amount of analgesics I don't even want to go into this pain reduces to 10/10 for about 3 hours and then climbs back up to 12/10. More painkillers......this could go on for another 4-6 days, and if I'm really unlucky 6 weeks. That would be really bad timing as I'm having the first of 3 back surgeries next week. Not good. My activity levels because of my chronic lower back pain have been reduced to about 2 hours per day of light activity before I have to rest, reclining on a bed. I can't sit for longer that 10-15 minutes and I defintely can't sit on a hard chair like a dining chair, so no meals with my family. guilt. No restaurant chairs for dinner with Mr K. guilt. I can't sit on an outdoor chair, so no BBQ's outdoors with friends &amp; family. guilt. No school chapel service with Son. guilt. No house cleaning. ok, not so much guilt there, over that and loving cleaner once a week! If I push it and do more than I should or simply do the grocery shopping my back goes into a spasm and I can't move for 2-3 days. guilt. Mr K has to do the cooking. guilt. So, here's to the success of my 3 back interventions (or 'exorcisms' as Mr K calls them)...if they work, I could have a huge reduction in severity of pain for 6-9 months until the nerves grow back (more on those procedures next week). That's Step 1. Then we can have another go at these damned migraines. to my family and friends-sorry. There is so much going on with Twitter that if your not jumping on the bandwagon - I suggest you get a jumping! As this service evolves there are so many tools available to help you mange your Twitter account that there are entire websites dedicated to tracking the tools. The idea behind Twitter (among other things) is to acquire followers that are interested in the same things you are and communicate with them, build relationships, and be a part of the community. After being on Twitter for a while and seeing how it works I was finally ready to build my following! I have read about how many others get their followers. There’s those that have a big following already and they just send out an email and *BAM* instant following. There are those that build up their following by finding someone that they are interested in and by going through their list of followers they get followed in return. Then there’s the controversial viral tool that is getting a lot of followers for some that have used it. I’m sure that there are hundreds of techniques in the mix that I have not even heard of and many more to come. All that aside I need to get to the point of what I have been trying! I wanted to try and follow people that where specifically interested in the things that I want to talk about. I’ve already spent hours going through profiles and past tweets of users to see if they talked about similar interests, but this is extremely time consuming. After thinking a little bit, I turned to our good friend Google. By performing some simple targeted searches on Google I was able to find Twitter users that where talking about keywords that I was interested in. The results yielded 295,000 results allowing me to look who said it, what they said, and then all I have to do is click on the link and follow them. I would suggest you do a little more focused search, but this is a great way to help you figure out who you should follow and if they are talking about the things you are interested in. Now get to searching and make some new friends on Twitter!